I would have to recommend it since it is part of a series of books. if you are invested on the series, you must read this book. However this book is 90% filling that goes nowhere. Only a small part of the book moves the whole story along. 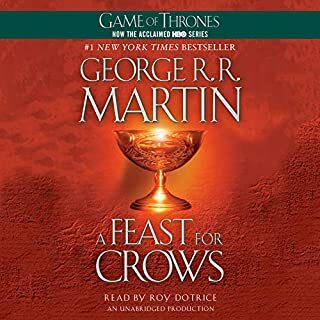 If you heard to mr. Dotrice on the first three books, you will find some disorienting change of voices on at least two characters, as well as he changed the way he says the name of a character mid-story. I was like, who is that? new character?So, some consistency on the reading from previous books would be nice.Also, I am not the first to say it nor the last, he makes young people sound old. I did not like how he changed the voice of Aria on this book to sound like an old hag. He should use his normal voice for the yourng and specially female characters. this book makes the case that a multiple book series deal should be dropped. An epic story can be told with three books. Lord of the Rings was told in three ( I know there is a fourth book in there, but you get my jest).Authors soon run out of pages for the main story and start filling pages of non-sense so that they can stretch the story to more books. 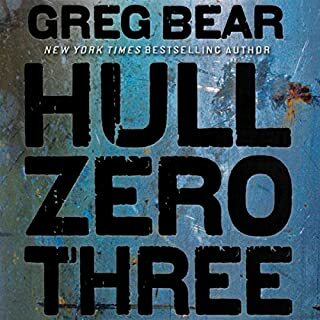 I read a sample of Hull Zero Three on a gaming site the author contributes. I found that sample of writing much to my liking. So I waited patiently for Audible to release the book. As soon as it came out I used my credit point. I am not disappointed for my purchase. The writing style is very good. Very fluid. The story is is narrated on first person by an awakened crew member of a large colonizing space ship. Early on we know that the ship is in a chaotic state. The crewman has been awakened before reaching final destination apparently and he has to quickly adapt to survive and discover what has gone wrong. So the narration of first person works very well as the reader, or listener, discovers clues of what is happening or has happened at the same time as the crewman. I felt the resolution was good, even though not everything is answered, and some answers were speculation of the crewman. But that should be the case as the crewman has limitations to what he can discover due to events. The narrator is very good. I listened to the sample and liked his voice and style of narration. I cant complain there. Very good audio experience. This is my first Greg Bear book and liked it very much. I will probably look for more of his books. I will not dive into the story as there are many reviews that have given great observations about it. I just want to put my two cents for an all around five star book and audible production. The story is great. The main characters are well developed that you will find yourself caring for them. My favorite was Fermin (sp?). His wisecracks and sayings always made me smile. He is my favorite of the story. 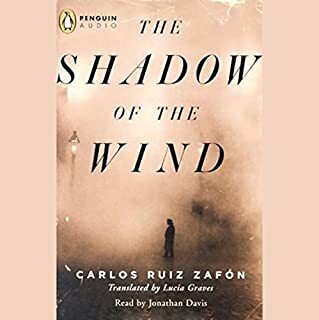 The narrator is quite good. I felt he captured the mood of the narrations. He would give different accents to different characters without overdoing the voice change. I love the accent of Fermin. I think he capture this character. Speaking of his diction when it comes to Spanish names, he was quite good. He would say names in Spanish, which I liked, but some listeners not accustomed to listening Spanish may have some trouble with street addresses, plaza and churches names, etc. I dont think you will have a problem with following the names of people though, at least not first names. Spanish names such as Daniel, Julian, Clara, Javier, etc are not that rare and I think your ear will quickly recognized them. Surnames might be a little more difficult to catch but I would just ask you give it the effort.